Our book A Chess Omnibus was published in June 2003. Unbelievable but true: we have still been unable to secure from the publisher, Mr Hanon Russell, a signed, hard-copy contract, despite innumerable reminders sent to him over a long period and several promises received from him. Simon Browne (Chelsea, Australia) mentions that page 158 of the 3/1999 Quarterly for Chess History gives a table of Milan Vidmar’s chess record which states that in 1936 he defeated Reshevsky in a match +3 –2 =1. Our correspondent comments that Reshevsky was regarded at the time as a possible world championship contender but that the book Samuel Reshevsky by Stephen W. Gordon (Jefferson, 1997) does not refer to the match. 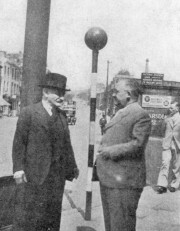 ‘Soon after the Nottingham Congress Dr Milan Vidmar sailed for the United States. 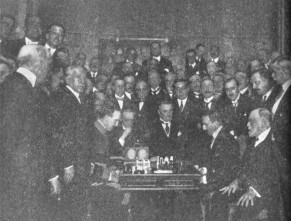 In the course of his short stay he quite naturally mixed a little chess with his engineering activities – a simultaneous exhibition at the Capital City Chess Club in Washington, DC; offhand games against Denker and Kashdan at the Manhattan Chess Club and Reshevsky at the Marshall Chess Club – and voiced his opinions on a variety of chess topics. 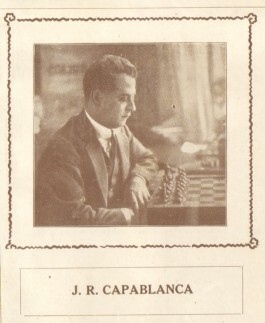 The Alekhine-Capablanca picture having been demonstrated to be a fake, we hope that it will no longer appear in books (such as the illustrated editions of the first volume of Kasparov’s Predecessors series) or on the Internet (such as the Capablanca gallery at Kasparov’s ‘chesschamps’ website). ‘Lipschütz participated in the London, 1886 tournament, which ended on 29 July. The passenger lists should consequently feature a Lipschütz, arriving in New York in August or possibly September that year. They show that a Mr S. Lipschutz, aged 25, arrived in New York on 18 August 1886 on the ship Wisconsin from Liverpool. This is presumably our Lipschütz, even though he seems slightly older than expected; he should be 22-23 years of age if he was born in 1863. But unfortunately there is only the initial S., and not a full name. No occupation, just “gent”. According to the biographical feature in the Chess Monthly (December 1891, page 98), Lipschütz emigrated to the US when aged about 17½; this means around 1880, assuming that he was indeed born in 1863. Thus, another list entry should exist from that time. There is a record stating that Salom. 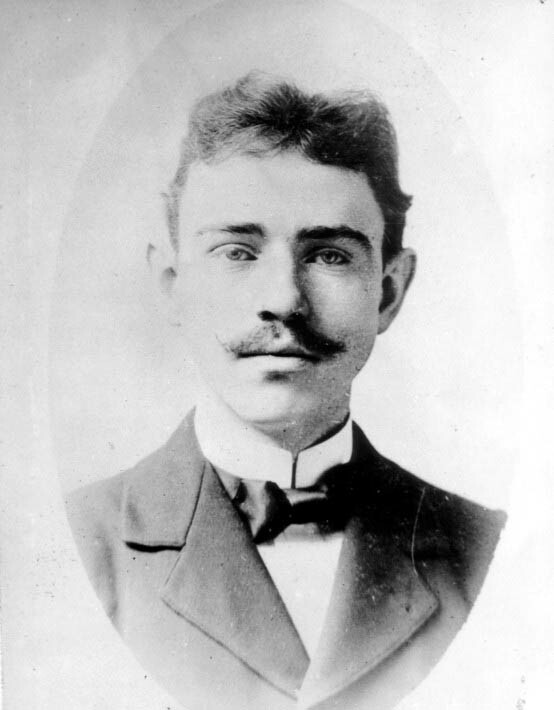 Lipschutz, 19 years old, born in Hungary, arrived in New York on 4 September 1880 on the ship Cimbria from Hamburg and Le Havre. Again, he is slightly older than expected, but seems to be the same age as the Lipschütz from 1886. On the assumption that S. Lipschütz did enter the United States of America through New York (almost certain), and was aged 19 in September 1880 (or had reasons for claiming so at the time), and that the records are complete, it seems likely that his first name was “Salomon”, possibly “Solomon” or a near equivalent. 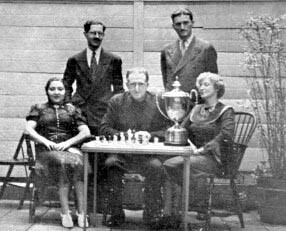 ‘Carrie Marshall, widow of longtime United States chess champion, Frank Marshall, won a game for the USA in the International Team Tournament at Stockholm in 1937. The match was USA v England, and the particular board was Kashdan, USA, against C.H.O. “Death” Alexander, the English champion. Kashdan was hopelessly “busted”. Carrie, however, had suggested that a necklace which carried an image of Our Lady of Fatima could bring him luck if rubbed and petitioned. To oblige, Kashdan went through the motions, and Alexander instantly blundered away a piece and the game. 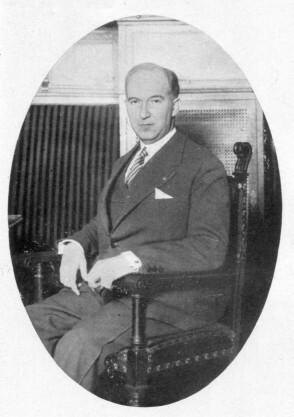 The game was also annotated by W.H. Cozens on pages 41-44 of his posthumous book The Lost Olympiad (St Leonards on Sea, 1985). 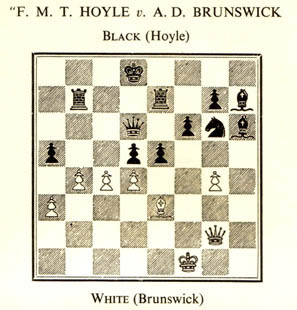 The game in question was on pages 243-245 of Beckett’s 1938 novel Murphy, the exact wording of the note to White’s first move being: ‘The primary cause of all White’s subsequent difficulties’. 1 e4 Nh6 2 Nh3 Rg8 3 Rg1 Nc6 4 Nc3 Ne5 5 Nd5 Rh8 6 Rh1 Nc6 7 Nc3 Ng8 8 Nb1 Nb8 9 Ng1 e6 10 g3 Ne7 11 Ne2 Ng6 12 g4 Be7 13 Ng3 d6 14 Be2 Qd7 15 d3 Kd8 16 Qd2 Qe8 17 Kd1 Nd7 18 Nc3 Rb8 19 Rb1 Nb6 20 Na4 Bd7 21 b3 Rg8 22 Rg1 Kc8 23 Bb2 Qf8 24 Kc1 Be8 25 Bc3 Nh8 26 b4 Bd8 27 Qh6 Na8 28 Qf6 Ng6 29 Be5 Be7 30 Nc5 Kd8 31 Nh1 Bd7 32 Kb2 Rh8 33 Kb3 Bc8 34 Ka4 Qe8+ 35 Ka5 Nb6 36 Bf4 Nd7 37 Qc3 Ra8 38 Na6 Bf8 39 Kb5 Ne7 40 Ka5 Nb8 41 Qc6 Ng8 42 Kb5 Ke7 43 Ka5 Qd8 44 White resigns. A descriptive passage about the chess encounters between Murphy and Endon appeared on pages 187-188 of the book. 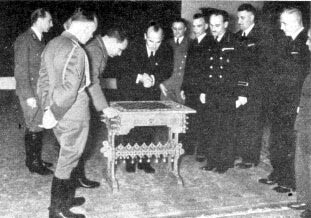 Some information about Hans Frank (1900-1946), the most prominent Nazi leader to be strongly interested in chess, is available in the books on Alekhine by P. Morán and L. Skinner/R. Verhoeven. Here, we give a series of photographs of him, i.e. a selection from those published in Deutsche Schachblätter (1936-1941). 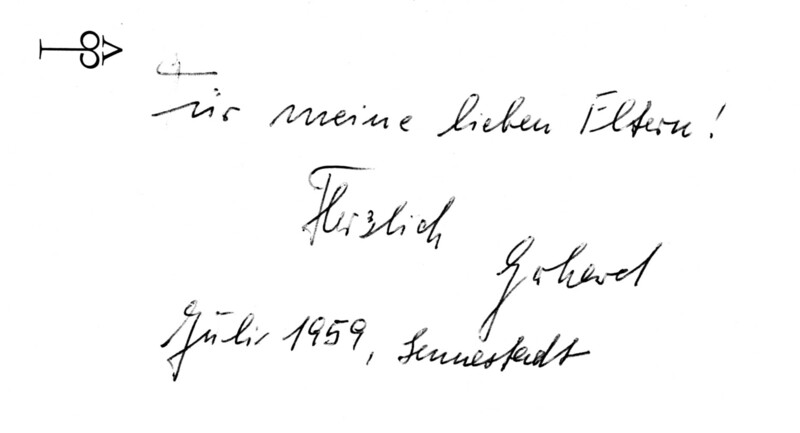 The text appears to read, ‘Dem glücklichen Schachehepaar Hans und Annemarie [Lobbenberg?] mit herzlichsten Grüssen aus Karlsbad’, but the recipients’ surname is unclear. A further item in our collection which was signed by F. Sämisch is a copy of Edward Lasker’s Chess Secrets I Learned from the Masters (New York, 1951). 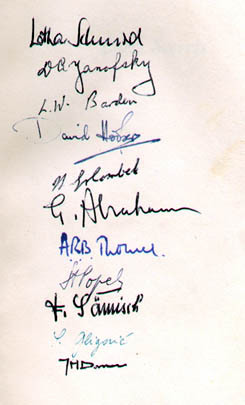 The other signatories were the ten participants in the Hastings, 1951-52 Premier Tournament, i.e. 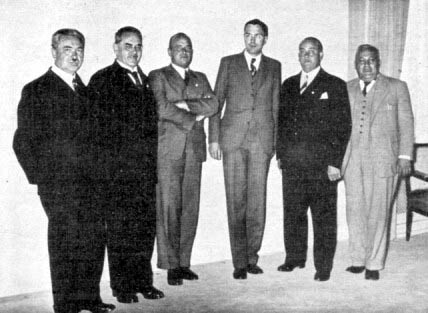 L. Schmid, D. Yanofsky, L. Barden, D. Hooper, H. Golombek, G. Abrahams, A.R.B. 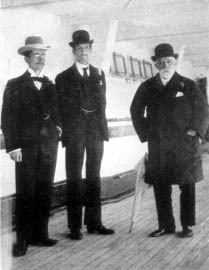 Thomas, S. Popel, S. Gligorić and J.H. Donner. Needed though they may be, clues will not be provided, at least for now, to the two-pipe problem in C.N. 3530. Instead, we offer some jottings about Sherlock Holmes and chess. His famous remark ‘Amberley excelled at chess – one mark, Watson, of a scheming mind’ appeared in ‘The Adventure of the Retired Colourman’ in The Case Book of Sherlock Holmes (London, 1927). That source is now well known to chess enthusiasts, but was not always so. On page 34 of his anthology Chess Pieces (London, 1949), Norman Knight related that, uncertain of which Holmes story had included the quotation, he had written a letter of enquiry to The Observer; no fewer than 82 replies were received (‘which shows that the field of Holmesian scholarship is better tilled than he [Knight] had imagined’). 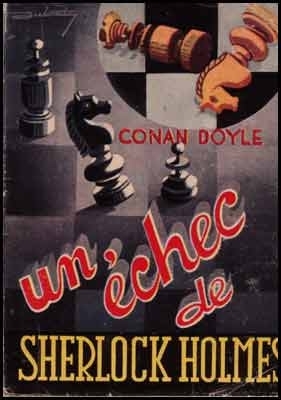 The other prominent connection between the detective and chess is Raymond Smullyan’s book The Chess Mysteries of Sherlock Holmes (London, 1980). Imitations and parodies of the Holmes stories are not infrequent, and three good ones with a chess connection come to mind. The most recent is ‘The Case of the Mental Detective’ by William R. Hartston, on pages 25-30 of his book Soft Pawn (London, 1980). 1 d4 d5 2 c4 e6 3 Nc3 c5 4 cxd5 cxd4 5 Qxd4 Nc6 6 Qa4 exd5 7 Nf3 d4 8 Nb5 Bd7 9 Nbxd4 Bb4+ 10 Kd1 Nxd4 11 Qxb4 Nxf3 12 exf3 Ba4+ 13 Ke2 Qd1+ 14 Ke3 O-O-O 15 Bd2 Qxa1 16 Ba6 Re8+ 17 Kf4 Re4+ 18 fxe4 g5+ 19 Kg3 Qxh1 20 Qxb7+ Kd8 21 Qc8+ Ke7 22 Bb4+ Kf6 23 Qf5+ Kg7 24 Qxg5 mate. Leiber’s story was reproduced on pages 205-216 of Chess in Literature by M. Truzzi (New York, 1975). 1 e4 e5 2 f4 d6 3 d4 Ne7 4 Bd2 Bd7 5 Bb4 Nbc6 6 Ba3 Na5 7 f5 Nec6 8 c3 Qf6 9 Nd2 Be7 10 Qg4 Qh6 11 Ndf3 Qh3 12 gxh3 h5 13 Qxg7 O-O-O 14 Qxf7 Nb3 15 axb3 Rh6 16 Bg2 Be8 17 Qg7 Bh4+ 18 Kf1 Rh8 19 d5 Kb8 20 Re1 Ka8 21 Qxh8 Nb4 22 cxb4 Bb5+ 23 Re2 Rxh8 24 f6 Rh6 25 f7 Rh8 26 f8(Q)+ Rxf8 Drawn. 3532. A seventeenth-century chess expert? Our correspondent asks what information is available about his connection with chess. Unable to find anything else of relevance in chess literature, we consulted a leading authority on the period, John Morrill, who is Professor of British and Irish History at Selwyn College, Cambridge. He has identified the man in question as neither Brounckner nor Brounker, but Henry Brouncker (c1627-1688), who was the third Viscount Brouncker of Lyons. 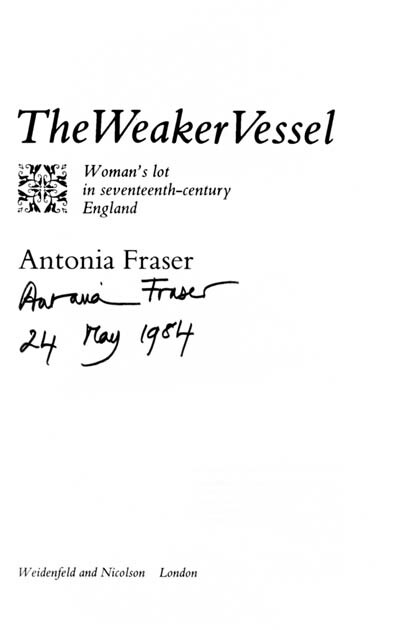 It has not yet been possible for us to establish what grounds may exist for Antonia Fraser’s remark that he was ‘known as the best chessplayer in England’. At the website http://www alberteinstein info/database.html readers will find interesting documentary information by making a search for ‘Lasker’. We are aware of one chess game attributed to Albert Einstein, a win against Oppenheimer (1 e4 e5 2 Nf3 Nc6 3 Bb5 a6 4 Ba4 b5 5 Bb3 Nf6 6 O-O Nxe4 7 Re1 d5 8 a4 b4 9 d3 Nc5 10 Nxe5 Ne7 11 Qf3 f6 12 Qh5+ g6 13 Nxg6 hxg6 14 Qxh8 Nxb3 15 cxb3 Qd6 16 Bh6 Kd7 17 Bxf8 Bb7 18 Qg7 Re8 19 Nd2 c5 20 Rad1 a5 21 Nc4 dxc4 22 dxc4 Qxd1 23 Rxd1+ Kc8 24 Bxe7 Resigns). When this game was first published seems impossible to say for certain, but it gained wide currency by appearing in a brief entry on Einstein in the Dictionnaire des échecs by François Le Lionnais and Ernst Maget (Paris, 1967). 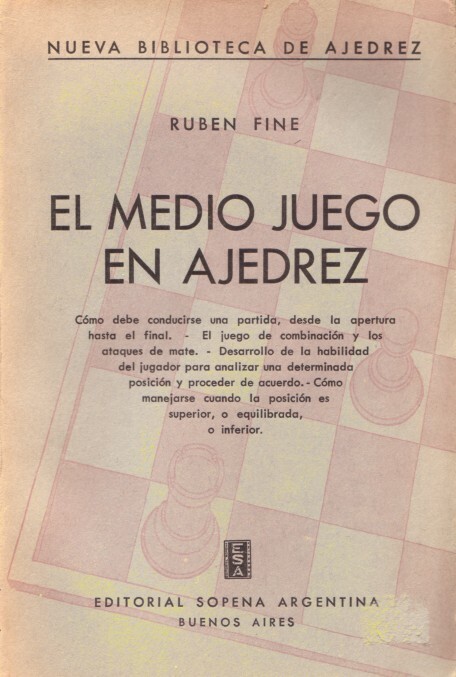 The source specified was Freude am Schach by Gerhard Henschel (Gütersloh, 1959), although the French reference book used the conditional tense, to convey uncertainty about the game’s authenticity (‘la partie suivante qui aurait été gagnée par Einstein contre le grand physicien Robert Oppenheimer’). Neither of the above-mentioned books offered a date or a venue, and the note of caution added by the Dictionnaire was subsequently neglected. Contradictory specifics appeared in other books; for example, page 415 of Şah Cartea de Aur by Constantin Ştefaniu (Bucharest, 1982) described it as a ‘game of historic value’ played in the United States in 1940. Elsewhere the date has been given as 1933, and the venue as Princeton. The Dictionnaire also had an entry for Stalin, with the following illustrative win over ‘le chef de la Guépéou’: 1 e4 c5 2 Nf3 d6 3 d4 cxd4 4 Nxd4 Nf6 5 Nc3 Nbd7 6 Be2 a6 7 O-O e6 8 f4 b5 9 a3 Bb7 10 Bf3 Qb6 11 Be3 Qc7 12 Qe2 Be7 13 g4 Nc5 14 Qg2 O-O 15 Rad1 Rfe8 16 g5 Nfd7 17 Rd2 e5 18 Nf5 Ne6 19 Nxe7+ Rxe7 20 f5 Nd4 21 f6 Ree8 22 Bh5 g6 23 Bxg6 hxg6 24 Qh3 Ne6 25 Qh6 Qd8 26 Rf3 Nxf6 27 gxf6 Rc8 28 Rdf2 Qxf6 29 Rxf6 Rc7 30 Nd5 Bxd5 31 exd5 Nf8 32 Bg5 Nh7 33 Rxd6 e4 34 Be3 Rce7 35 Bd4 f6 36 Bxf6 Nxf6 37 Rdxf6 Resigns. Again the source mentioned was Henschel’s book Freude am Schach, and the French authors made the same use of the conditional tense to indicate their doubts: ‘la partie suivante qui aurait été gagnée par Staline’. Was Henschel’s dire book, which is replete with errors of all kinds (Fischer is misspelt ‘Fisher’ throughout), really the first appearance in print of the Einstein and Stalin games? What credibility does either have? 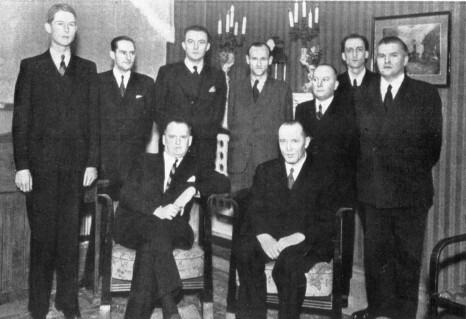 Standing: K. Junge, J. Podgorný, J. Foltys, F. Sämisch, J. Rejfíř, C. Kende (organizer), F. Prokop. 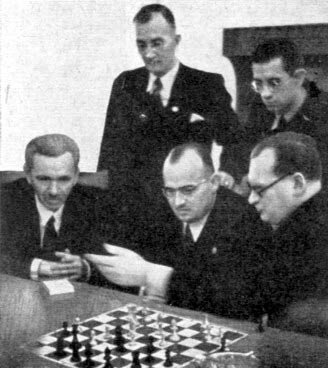 Seated: A. Alekhine, O. Důras. Correct answers have been submitted by Calle Erlandsson (Lund, Sweden) and John Saunders (London). For those not there yet, a clue is offered: it is necessary to study the letters in the caption, then the squares occupied by the pieces and, finally, the moves. 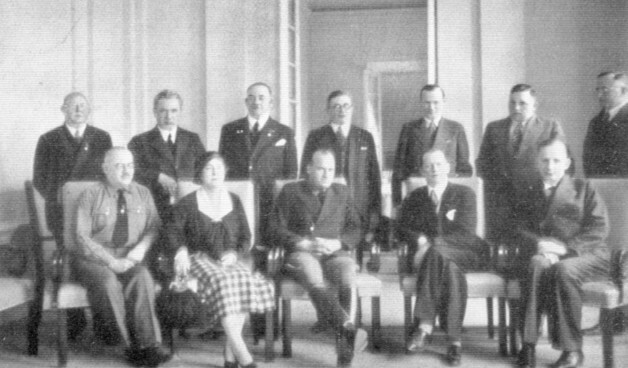 ‘The competitors in the Rookwood Chess Congress are organized in two sections. In each section each competitor plays one game against each of the other competitors in that section. This meant, last year, that the secretary had to arrange 165 games. This year there is one more competitor in each section. A US correspondent is seeking a copy of page 173 of Magyar Sakkélet, 1960. Can a reader kindly send it to us? 37...Kf8 38 Rxf6+ gxf6 39 Bh6 mate. Source: page 3 of West of England Chess Championship 1947 by P.D. Bolland (Bristol, 1947). I do not know whether other “enemy” nationals who had the misfortune to be in Germany when war broke out were also interned, but the internment of the chessplayers was carried out very quickly. One would have thought it easier to pack them all off to Switzerland or home. Y = player participated in tournament. It is not clear why Fahrni suddenly competed in the seventh tournament. Was he interned after Mannheim, 1914 and, if so, why? And, if interned, why did he play in only one event? Moreover, eight tournaments in four years seems a very leisurely regime. What else did the players have to do? According to Soloviov’s book on Bogoljubow (page 21), Alekhine, Bohatirchuk, Koppelman and Saburov all escaped to Switzerland quite early on in the war. How? 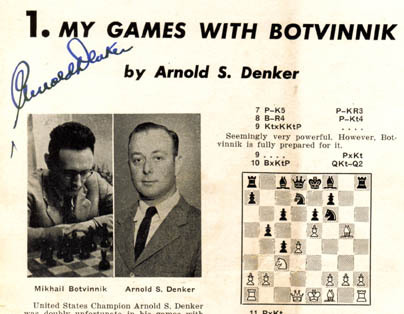 Hooper and Whyld ascribe Alekhine’s escape to family influence. Is that true, and what about the others? And if the situation was such that escape was possible, why did the others not attempt it? Hooper and Whyld also state, in the entry on Flamberg, that he (a Polish player) was allowed to return to Warsaw in 1916. This may be because in 1916 Germany had control of the Polish part of the Russian Empire, and no need was evident to continue his internment. Even so, it would have been expected that each of the players interned for the duration of the war would participate in every event. Yet Maliutin and Weinstein did not. We are still unable to say how Kurt Lüdecke came into contact with F.J. Marshall at Mannheim in 1914, and again in the United States in 1937, or to trace any of his games. 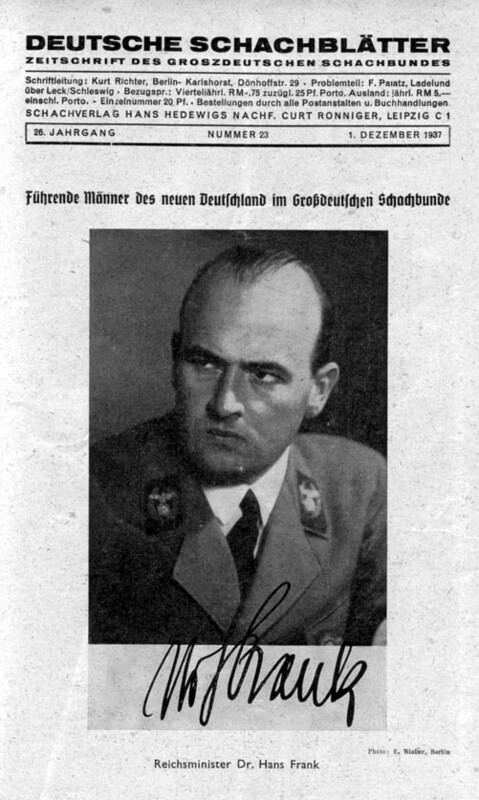 Nor have we found clues about Lüdecke in the book he edited and sent to Hitler (see C.N. 3456). 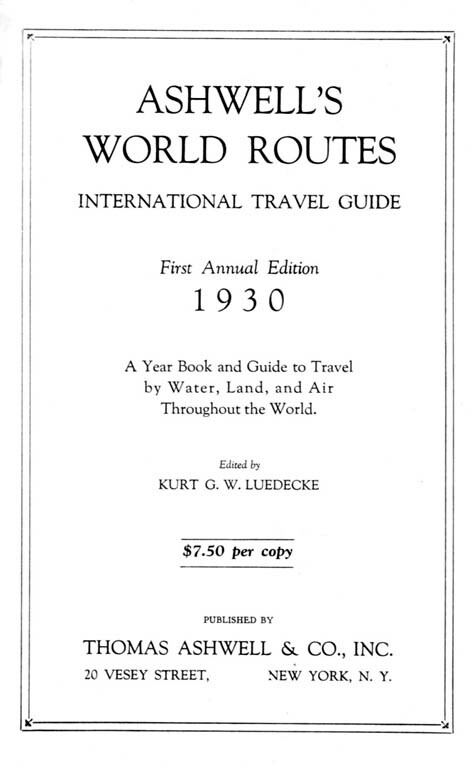 It is, indeed, a remarkably detailed gazetteer and travel guide (an 848-page hardback), the Foreword to which was signed ‘K.G.W.L., New York City, 15 May 1930’. ‘The Royal Game’, August 1982, pages 26-27, with the solutions on page 10 of the October 1982 issue. ‘The Case of the Diogenes Club’, July 1993, page 78.
Who is the chess figure in this trio? We are feeling rather confident that no reader will be able to identify him. C.N.s 2510 and 2594 (see pages 261-262 of A Chess Omnibus) provided some notes on members of the British royal family from the nineteenth century onwards, including Queen Victoria and George V. Our intention was to write a companion piece on earlier periods, but the ground seems to have been covered so well by H.J.R. Murray’s A History of Chess (Oxford, 1913) that any such item would in large part have to repeat what he wrote about, for instance, King John, Edward I, Henry VII, Henry VIII, Elizabeth I, James I and Charles I. We therefore approach the subject from another angle: what research discoveries, if any, have been made about British royalty and chess since Murray’s heyday? 3545. King played in a tournament? 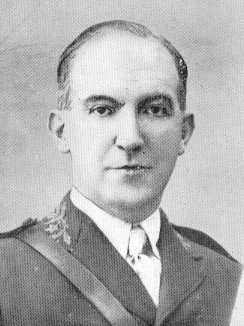 La Stratégie recorded that Manuel Golmayo won the first phase with 16½ points. The rankings were given for the next 18 players, with no mention of the King. The top four players then participated in a double-round tournament, which was won by Golmayo. ‘Y a continuación me contaba una y otra vez aquella partida que jugó con el Rey Alfonso XIII. 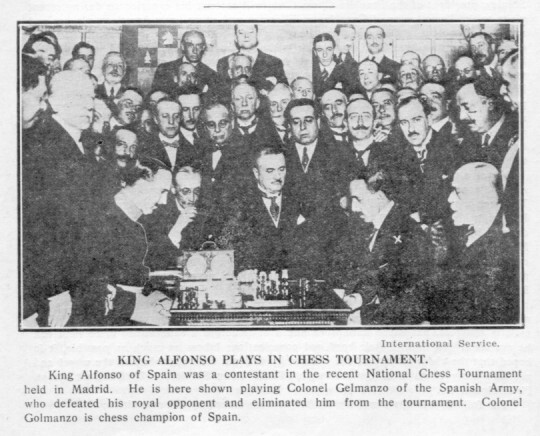 Morán found that news publications of the time, such as ABC, stated that the King had indeed won against Golmayo, the game being played before the Championship began. There were no reports in ABC to support the above statements of Golmayo that he had given knight odds and advised the King which moves to play. Alfonso XIII was King of Spain from the year of his birth, 1886, until the proclamation of a republic in 1931. He then left Spain and settled in Rome, where he died in 1941. 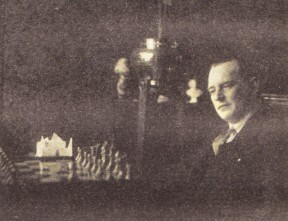 We have yet to find anything more about Henry Brouncker’s connection with chess, but it may be noted that a painting of him exists in the National Portrait Gallery, London and can be viewed on-line (http://www.npg.org.uk). 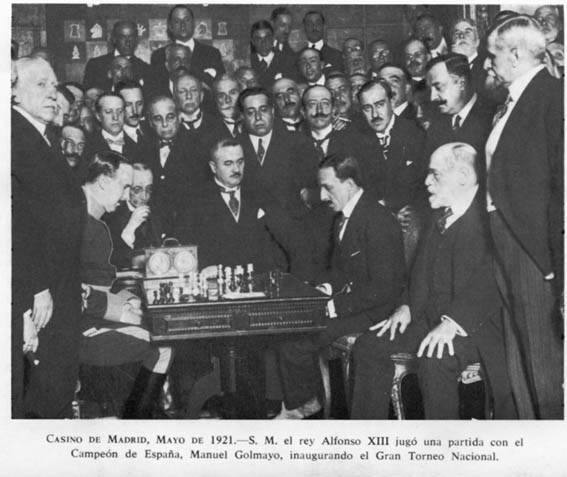 Mr Sánchez adds that according to page 5 of the book the winner of the 1921 National Tournament was presented with an appropriately named trophy, the ‘Copa de S. M. el Rey’. ‘The data are these: (1) there are 20 squares with pieces on them; (2) every move in the “game” (except captures) is a move to one of these squares; (3) there are 20 letters in the caption to the “problem”. These 20 letters are the clues that enable the squares to be identified. F Q8; M QKt7; T K7; H KKt7, O KR7, [etc.]. The solution is 191 games, as sent in by Alasdair Alexander (Wellington, New Zealand), Louis Blair (Carlinville, IL, USA), Calle Erlandsson (Lund, Sweden) and Tom Rogers (Westfield, NJ, USA). This too is a puzzle by Hubert Phillips, from page 198 of Hubert Phillips’s Heptameron (London, 1945) and page 66 of his Problem Omnibus Volume 1 (London, 1960). The answer can be found by considering the relevant possibilities on the basis of a scale. For example, if there were two players in a section, one game would be played; three players, three games; four players, six games; five players, ten games, etc. (continuing until 19 players, 171 games). Such a scale shows that the number of games in last year’s tournament (165) can be made up only of 45 and 120, which, on the scale, correspond to ten players and 16 players respectively. This year the sections therefore had 11 players and 17 players, and the relevant figures on the scale are 55 games and 136 games respectively. 55 +136 =191. An extensive note on Hubert Phillips, who co-wrote a chess book with Golombek, is in preparation, and there will also be some more of his puzzles with a chess theme. He was a phenomenon. a) Which chess book published by McFarland in 2004 has been praised to the skies by critics and has been described by Nigel Short (in the Sunday Telegraph of 12 December 2004) as his ‘favourite tome of the year’? b) Which chess book published by McFarland in 2004 has the Chess Café/USCF Sales refused to stock or review?